Nothing defines mediocrity better than Sbarro. It would not be an understatement to call the food here uninspiring. I had ordered a Chicken Pasta (which my regular readers know is my favourite). To be fair to the restaurant, they do allow for customization with respect to the choice of veggies, sauce and type of pasta. I picked my favourite fusilli pasta with bell peppers, corn and - since I was feeling a bit daring - something called the Mama Sbarro. One would expect that sauce would have to be really amazing for it to be christened after the name of the restraurant itself. However, this was not the case. Without going too much into philosophy of food, I just wish to send a message to all restraurant owners and managers - While service and ambience are important the food cannot simply be 'food'. The food must be an experiience which evokes feelings and emotions and makes the eater either dream or re-live the past, or both. It is the duty of the restaurant to not only fill the customers stomach - but also his soul. In short, Sbarro is just another eatery. Their tagline could literally be "We serve food". The disappointingly cooked pasta satisfied the tummy, but did not succeed in satisfying the tongue and mouth. I have always strived to see the best in restaurant and thus I must add that the chocolate mousse, while 'ordinary' in every sense of the word, was light and soft. The prices were a little above what they should have been when compared to the taste and quality of food. They do provide cutlery with the take-out and one can eat directly out of the plastic containers. Apart from that nothing much can be said about the packaging which like the food was "just average". The food was served hot and was delivered on time. Finally, there is nothing left to say about the quality and taste of the food besides advising my readers to skip this restaurant. My method of rating restaurants is to try and give them points for minute details which differ them from others. Unfortunately, Sbarro receives my lowest rating till date. Offers: At present there is 20% off on all orders through Zomato. If you have Zomato Treats membership, you can get a 'Chocolate Mousse' free. I hope you found this helpful. If you want me to review any other restaurant/play/movie/product/event, please say so in the comments below. 5.6-6.9: Decent. But can be skipped. 8.0-8.6: Great! Don't miss it. 8.7-10: If you are a man, you can miss witnessing the birth of your child for this. This is a greater miracle. Address: Marol Bakery, Plot No. 18 A, Shop No.9, Bhawani Tower, Marol Maroshi Road, Andheri East, Marol, Mumbai. So, this is my first time reviewing a bakery. I look forward to doing this more often. One look at the prices of this place would make one go crazy. The average price of the non-veg rolls is Rs. 58/-. The average price of a non-veg wrap is Rs. 69/-. A tiny chicken pizza is Rs. 30/-. The tiny chicken pizzas were decorated with delicious veggies buried under a thick layer of smooth cheese. If you listen carefully you can actually hear the vegetables shouting for help, trying to reach the surface. That first bite of the pizza, and you are actually gushed with all the different flavours. The rolls, unfortunately, were a little subpar. They reminded me of the rolls that were served in my school’s cafeteria. However, the chipotle sauce was pretty ‘yum’ and was available in plenty. The Choco Mousse Pastry was fun. I suggest that you eat it while its a bit cold. So that the cream takes you to a cool winter night. The pastry is not comparable to taste to say a ‘Monginis’ or a ‘Birdy’s’. But for the price, it is the best you can expect. Please do not order the Chicken Tandoori Rolls, as they are 80% bread and less than 20% Chicken. The delivery guy seemed a bit confused and it was obvious that he didn’t know much about the area, since he was not even familiar with the most famous landmark. Another factor I didn’t like was that the wraps are sold after 4 p.m. It is doubtful that I will ever order food from this place again. Its ‘easy on the pocket’, but the truth is I wouldn’t order food from this place unless I was really strapped for cash. There are better bakerys to order from, with richer and creamier pastries and more exquisite savouries. So, unless you are almost broke I suggest you give this place a skip... A ‘Freudian skip’! Offers: Currently, those with Zomoato Treats Membership can get a free Choco Mousse Pasrty while ordering from this place through Zomato. I hope you found this helpful. If you want me to review any other restaurant/play/movie/event, please say so in the comments below, and I shall endeavour to do so. Quality and Taste of Food: Ah! That Chicken Mexican Pasta took me to a warm afternoons, taking a siesta on a hammock tied between two trees, the shade of which created the perfect contrast between warmth and coolness. The contrast was well reflected in the Mexican Pasta itself, with its flavourful sauces and perfectly cooked fusilli pasta, I can say with certainty that I have never witnessed a better fusion of Italian and Mexican. Did I forget to mention that while I was taking this siesta, I was surrounded by joyful hens, pecking on the ground cheerfully? The chicken pieces were fresh and clean and had absorbed the spices well. 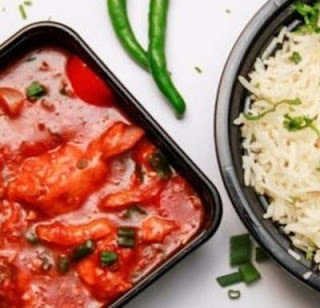 Another excellent feature of this restaurant is that they have an option of vegetarian rices and noodles at reasonable costs, to go along with the variety of curries. This saves the costs for those who love rice/noodle and gravy combos like me. I ordered the Fried Rice and was pleased with my decision. The small additions such as spring onions created an enigmatic aroma which could tame even a wild animal. The Chicken Manchurian gravy's consistency was to be applauded as it was not too thick, so as to be chewy when had with rice, nor was it think to make one feel one is having an Indian curry iinstead of an oriental gravy. I admit that I have known about Midnight Express for quite some time and I regret not ordering from this place earlier. It's my new go-to take-out place for Chinese food from now on. Price: While I would not categorize this place as 'easy on the pocket', even I have to admit it is reasonably priced when compared to its taste and quality. If the prices of certain items (such as the Drums of Heaven which currently costs Rs. 225/-) were reduced by 10-18%. I would consider ordering from this place more often. Packaging: I would be remiss if I did not point out the sturdiness of the plastic containers in which the food was packed, negating the need for a plate, when food is ordered. Delivery : The food was delivered steaming hot! The delivery guy was polite. 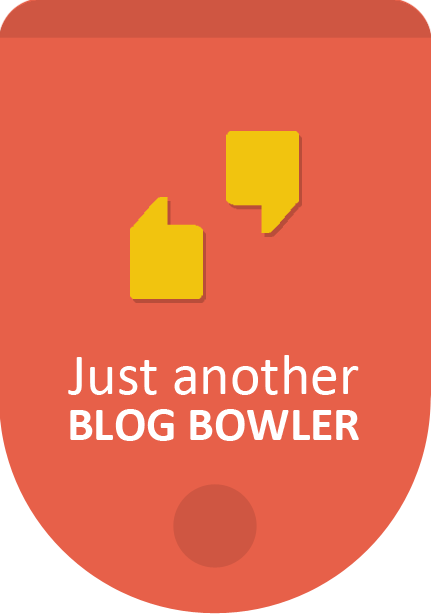 Offers: Furthermore, currently all orders from Zomato above Rs. 150/- entitle one to a 15% discount. I hope you found this helpful. If you want me to review any other restaurant/play/movie/event, please say so in the comments below. 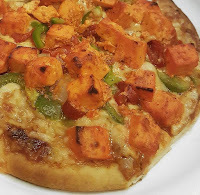 Address: Shop 28, Kamlesh Apartments, Near Tolani College, Mahakali Caves Road, Andheri East, Mahakali, Mumbai (The food being reviewed was delivered by the Mahakali branch. There are other branches located at Marol and Malad West). I have to commend and new pizza outlet that opens up and attempts to take on the big outlets such as Dominos, Pizza Hut and Smokin' Joes. While it may be easier to compete with these outlets by sticking to gourmet pizzas, it is far more challenging to compete on the price point while offering simple pizzas. In such case it may not be fair to actually compare these smaller outlets to the big players, but one of my duties as a food critic/blogger is to be absolutely impartial and while I do respect the efforts being put in by upcoming restaurants, I must give an unsympathetic and unbiased review. Quality and Taste of Food: The pizzas have a respectable quantity of toppings and chicken, and there are no complaints on that score. The bread and has a certain level of freshness, comparable to Dominos, but no where near the quality of Pizzahut. Their thin crust itself is pretty thick, so I would recommend you order the thin crust only. However, the pizzas lose points on the quality of cheese used. The cheese is stringy and gooey, but unfortunately it tastes rather stale. The cheese also fails to give out a good aroma, and has a very subtle odour. It is because of the quality of cheese that I have deducted a lot of points in this category, and quality and taste of cheese is one of the main criteria while rating a pizza. A little improvement in this one area could really make this place superb. Unfortunately, they have no options for dessert. This again is a big negative. Placing Order: Their website is easy to navigate. However, it may be easier to order through Zomato or Swiggy. Price: This criteria was the saving grace for this place. The pizzas are very reasonably priced. Honestly, I do not think that one can expect non-veg pizzas from a proper restaurant at prices lower than the ones they are offering. If you know any pizza outlet in Mumbai that can compete in the 'price' category, please let me know in the comments below, I would love to hear it. Packaging: Poor. The cheese stuck to the top of the box. Even the regular-size boxes are so flimsy that they bend easily. Condiments provided were oregano and chili-flakes. No ketchup sachets provided unfortunately. Delivery : The order was delivered within the time promised and the delivery person was fairly polite. The food remained hot even on arrival. Offers: Currently, one can get a 20% discount on orders from Zomato. Once can also get a 30% discount by ordering directly from their website. Certain other combos are also available when ordering through the website. Price and Quality of Food: While ordering chicken nuggets I was given a choice between the Garlic Mayo Dip and Spicy Mayo Dip. An impossible choice. Now I know what a man in the bomb disposal squad feels like, having to choose between cutting the red wire or the green wire. If only there was an option to have a little of both. However, I summed up all my courage and finally decided to go with the Garlic Mayo Dip. When I first opened that white paper bag, the aroma of the crisp chicken nuggets flooded out and gave me an oh-so-sweet ecstasy. Cooked just-right, giving them a light brown, and ever so slight, golden tinge. And the dip… what can I say about its fresh taste and quantity. This was not a tiny thumb-sized plastic container. No, sir. They provided a huge palm-sized container of dip. To be frank, the nuggets were not gourmet food, but they appeared to be the packaged ‘Yummiez’ Chicken Nuggets, which were frozen and fried. But at the price of Rs. 95/-, what better can one expect than getting a decent portion of nuggets and a generous portion of dip. This is not the fancy girl who uses you for your money. No, these chicken nuggets reminded me of that simple girl, who I fell in love with, who wanted me for me, and not for my money. She had no particularly exceptional quality, but there was a simplistic joy that she brought whenever she smiled. After I was done with those almost orgasmic nuggets, I moved on to my post-coital dish – Barbeque Chicken Strips Wrap. The barbeque sauce-covered chicken pulling me in opposite directions with its tug-of-war of sweet and spicy flavours. However, I was disappointed that the dish was not served hot enough. I also wish the chicken was a bit more tender. While the barbeque chicken strips were supposed to be the hero of the dish, as the name suggests, the vegetables and other sauces took a side-seat, and failed to impress. 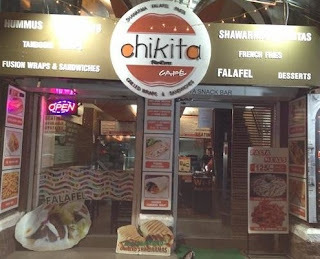 My conclusion, therefore, is that I will definitely be ordering from Chikita Café again. To have such an affordable place in Colaba is a blessing. For the office-going individuals at Nariman Point, this is an excellent option for ordering-in. Plus, with the additional 15% offered while ordering through Zomato, this place definitely goes on my ‘Order Regularly’ list. Packaging: Fairly Convenient. Served in odourless paper bags. Offers: Currently, one can get a 15% discount on orders through Zomato. Quality of Food: The food is absolutely unpretentious. It is simple at its core and at the same time - purely scrumptious. The Spicy Chicken meal with rice was tangy and the chicken was fresh and clean. The use of spices was elegant. The Cheesy Duo Chicken Grilled Wrap was as gooey as could possibly be with a subtle blend of sauces which complemented each other perfectly. The vegetables were used unsparingly and were chopped/diced to perfection. The thickness of the maida was 'just right', not too thick so as to overpower the dish, but also not too thin to lead to the wrap falling apart. The food was perfectly hygienic. The chocolate lava cake was average and the liquid chocolate had lost some of its consistency by the time the food was delivered. Price: Those of you who religiously follow my restaurant reviews (I assume you exist!) may have realized that my biggest complaint against modern day restaurants is that they are not worth the price. I usually don’t rate any restraurant well in the ‘worth the price category’. However, the price of Deliziyo t was perhaps its best feature. The Tangy Corn Grilled Wrap (Veg) costs a reasonable Rs. 57/- and other items on the menu are easy on the pocket as well. I have no hesitation in giving Deliziyo a full 20/20 in the ‘worth the price category’. Packaging: Fairly Convenient. Plastic cutlery provided for dishes that require cutlery. The quality of cardboard could be higher and the presentation of the food could be more appetizing. Delivery : The order was delivered within the time promised and the delivery person was polite. The food remained hot even on arrival. 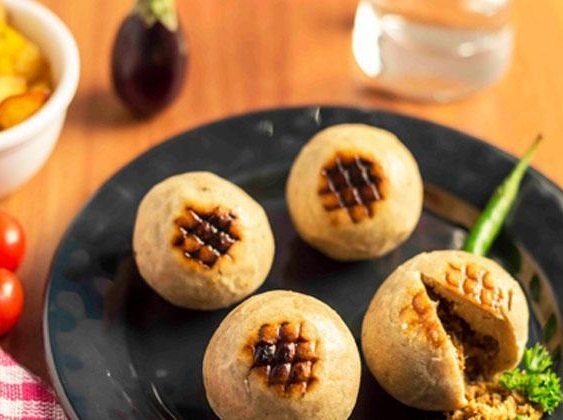 Offers: Currently, one can get a 20% discount on all orders from Zomato, above Rs. 150/-. For all you Sebastian Michaelis fans who are hoping that Ciel’s soul finally gets devoured in the manga – I have a bit of disappointing working theory for you. If I couldn't do this much as a homage to one of my favourite animes, then what kind of fan would I be? At the outset, I think many will agree that the manga is not going to end the same way as season 2 of the anime <SPOILER ALERT> and Ciel isn’t going to turn into a demon, causing Sebastian to be his butler for eternity. Firstly, I never liked that theory because I root for Ciel-Lizzie and; secondly, the anime itself had, in season 1, implied that Sebastian could terminate the contract and forfeit Ciel’s soul. 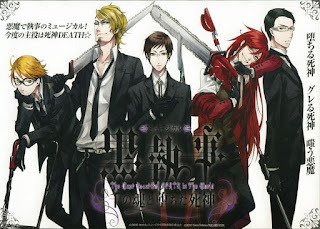 Now, there is my theory: - The Grim Reapers will have a lot of impact on the conclusion of Black Butler. Have you ever noticed how the manga as well as in the anime (particularly season 3 episode 10 and the special number 6) William T. Spears keeps stating that in exceptional cases Grim Reapers will allow certain persons scheduled to die, to continue living if they feel that this continued existence will be beneficial to the world. He further reiterates that this is the exception, rather than the rule. In the manga it is clarified that such instances are rare to never-occurring. Interestingly, the entire special episode about Grim Reapers was based on this concept where Grell Sutcliff and Will Spears are deputed to determine whether a certain writer falls into the exception. They are given one months time to make a decision. Grell is inclined to let them live but is met with stern opposition from Will. In the end of the episode they end up leting the writer die. BY this we can ascertain that there are no hard and first rules or guidelines that Grim Reapers are to follow while making this decision and Grim Reapers may have conflict of opinion among themselves. Now what does this have to do with our macabre duo of Sebastian and Ciel? Everything! What if because of all the cases solved by Ciel and because of the work done by he Funtom Co., the Grim Reapers decide that Ciel ought to be allowed to live, despite being in the 'to-die' list? 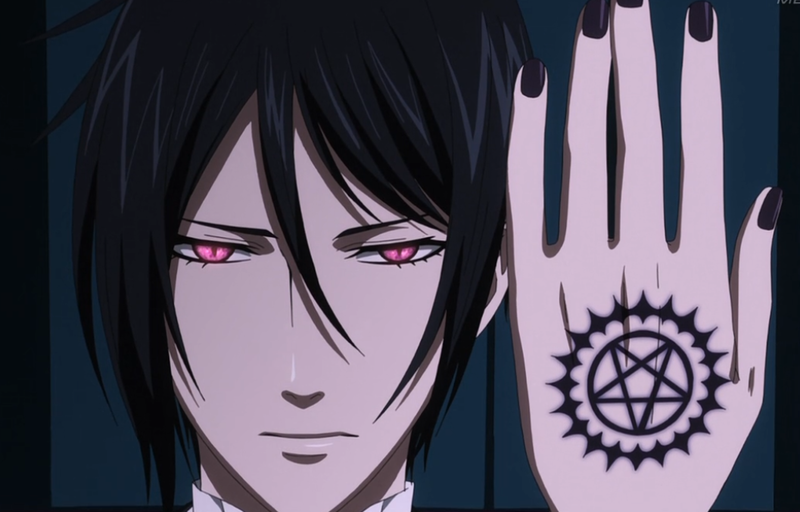 Would they sit idly by as Sebastian attempts to devour Ciel's soul? I think not. Since we can say with pretty much certain that Sebastian can take down a Grim Reaper with ease, even he may not be able to fight them all. Also, since it is pretty strongly implied that the Undertaker is the grand-father of Ciel, and he also happens to be a a Grim Reaper, we can also bet that he too will join the fight. 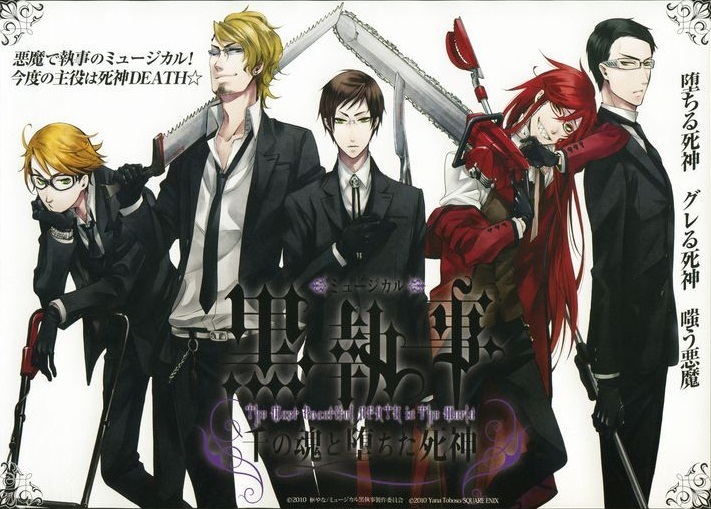 What would ensue would be a fight between our Black Butler and an army of Grim Reapers. For Ciel to live, Sebastian must finally meet his end during the battle. This would probably upset Ciel internally, as to some extent, he cares for Sebastian (remember the cursed camera?) and he does want to fulfil his promise to Sebastian. But he'll probably end up marrying Lizzie and live a normal (as far as possible) life. Another theory is that Ciel commits suicide and is recruited as a Grim Reaper, since it has been explained in the manga that Grim Reapers were once humans who committed suicide and must carry out duties as soul reapers as punishment. So what do you think of the theory? Don't like it? What kind of fan am I, you ask? Why, I'm simply one hell of a fan?